We got up pretty early today, headed to the office and then picked up the two crew-members that were going to embark the MS “Fram” today. I was so excited – but everything went really well. 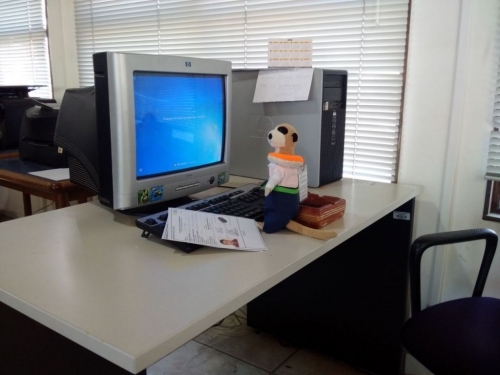 Once the crew was on board we went to the immigration office and dealt with the paper-work for them. The Immigration Officers were very nice and polite. Once the job was done we went for a short break. 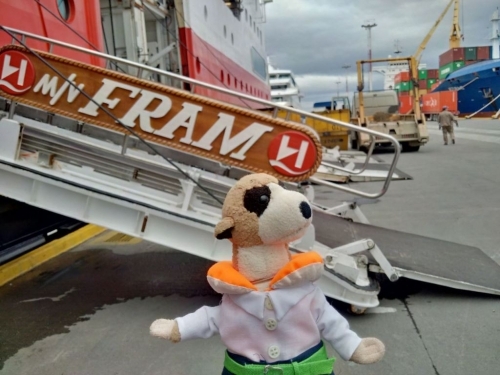 Lucas and Hernán then took me to the harbour for my own embarkation on MS “Fram”. Two Security Officers met us at the top of the gangway. They checked our papers. 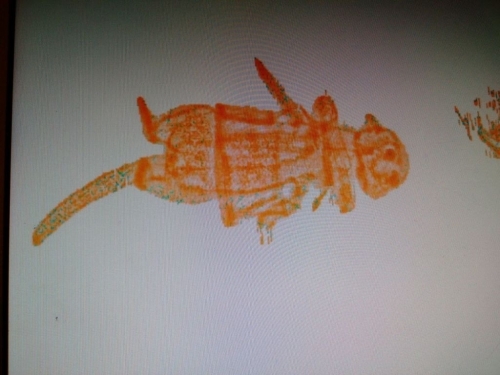 I am not sure why, but for some odd reason they send me through the scanner!!! Ugh!!! But – my reward was not far away; Karin came to meet us. It is great to see her again! 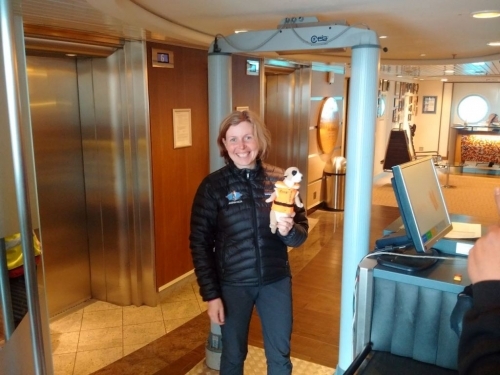 Remember, the “National Geographic Explorer” gave her a lift to Port Lockroy in January. 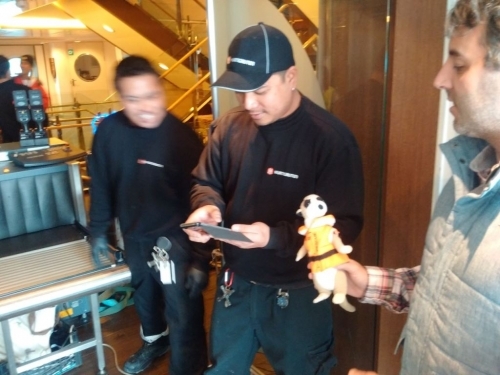 Again I had to say goodbye – this time to the nicest port agents on earth: Lucas and Hernán. At the same time I am very happy to be with my new foster parent Karin. 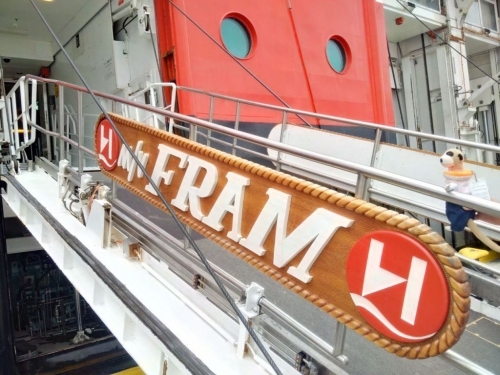 I am very much looking forward to peek into the life on board MS “Fram”.